Yep. Summer is here and I'm reveling in the blue skies, the canopy of trees, and the general air of delight that accompanies summer around here. What's looking up in your life? aka "Why I'm not a millionaire from animal-shaped rubber bands"
Can someone please explain how rubber bands shaped like animals, cars, and other shapes make for exciting and highly necessary bracelets for small children? might just be worth it. Life's busy but not too busy for these adorable faces. Chag Sameach - Shavuot is here! Shavuot is the holiday that celebrates the giving of the Torah. It tends to be a slightly overlooked holiday, even though it's really one of the most important! It's also known as Chag ha-Bikkurim, the celebration of the first fruits of the harvest, which can be extended nicely into celebrating nature as well. So, in honor of Shavuot, we started a new family tradition, a nature hike walk. But, not just any walk of course. We talked about Torah and we talked about God, and we talked about nature. We brought books and read bible stories along the way. We made some drawings and told stories about them. Sam is explaining his flower, so is Yael. And what is a hike walk without snacks? And because Torah is sweet as honey, we stopped by the honey beehives at the nature center. A good holiday always comes with dessert. Shavuot is known for its desserts, since it's customary to eat dairy on this holiday. That makes ice cream, cheesecake, and other dairy desserts a special part of this holiday. So I made a cake with sprinkles in it (trust me, they're in there) because Torah is colorful! How did your family celebrate? Plus, check out the #Torah tag on Twitter to see how many of us spent Erev Shavuot. Read Auntie Liz's post about Torah and Twitter. Here's what @RebMark had to say about Tweeting Torah as well. 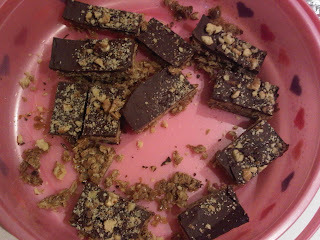 I like to bake, and I've discovered that the Hebrew School teachers are a great audience for whatever I want to make. This is useful, because the baked goods don't sit around my house being eaten by, um, ME. So I made a banana bread for the last day of Hebrew School, but that didn't seem decadent enough to celebrate the end. I wanted something else, something that looked gooey and delicious....I paged through my favorite cookbook and discovered this recipe. Notes and any changes mine. Preheat the oven to 425 degrees. Grease a 10x15 inch jelly roll pan. (I don't have a 10x15 inch pan. I have a 10x14 inch pan. I actually took out my measuring tape and measured because I wasn't sure. I used the slightly smaller pan and it seemed okay but if you have the extra inch, it would be better.) Do not spend 15 minutes trying to decide if your pan is the right size. Just get over it. Trust me on this one. In a medium-sized large mixing bowl (trust me), stir together the oats, sugar, butter, corn syrup, vanilla and salt. Press into the prepared pan. Possibly the coolest tip: use the greased bottom of a loaf pan (which fit perfectly in my 10 inch pan, by the way) to press it down evenly. That's a tip from the cookbook, which is partly why I love this cook book. Bake for 10-14 minutes. It will bubble up a little, that's okay. Err on the side of more baking, rather than less. Especially if your pan is one inch too small. Trust me on this one too. Remove from oven and cool on a rack. Make the topping: melt the chocolate chips and shortening (or butter) in the microwave (or stove) and stir until smooth. Spread evenly over the crust, sprinkle on the nuts. Cover loosely (I used plastic wrap and it was fine, but a little messy.) and refrigerate until firm. I bet you could speed this up in the freezer but I did it overnight. Cut into squares. It was very sticky. I cut long strips and then removed the strips to a cutting board to make small bite-sized pieces. David: Mom, how do you spell APPREKATE? Me: What? What does that mean? David: You know, like when you're really happy about something someone's done. Once upon a time, I informed my parents that an event was being held at a PresBYTErian church. They spent about ten minutes laughing until they could explain the correct pronunciation of the word. I guess it runs in the family. I've had a great time being in your Sunday School class. It is fun to read the magazines that we learn from. I learned that it's best to stay away from friends most of the time during class. Thank you for letting me be in your class. I appreciate it very much. Today is Rosh Chodesh Sivan, the first day of the month of Sivan. Make sure you check out how the Women of the Wall are celebrating this Rosh Chodesh. We've been counting the Omer, we've been preparing ourselves, we've been readying our hearts and minds and lives to remember and recreate the moment that we stood at Sinai...and it's almost here. Tradition says that the Israelites arrived and camped at Mount Sinai on Rosh Chodesh Sivan. The journey is almost complete. Today is Yom Yerushalayim (Jerusalem Day), a day celebrating the reunification of Jerusalem in 1967. The day is marked in Israel with ceremonies and memorials. Here's some of the original transmissions from that day. I find them to be incredibly moving. May Jerusalem ever stand as a symbol of the peace and hope and freedom. Check out this cool post from DovBear with archival news articles. Pretty regular posts on this blog keep me right in the thick of the Real Jerusalem Streets. I'm not usually very political around here. But this post on immigration reform, from the very wise FrumeSarah, needed to be said. And it needs to be read and passed on. Please, share it. Haveil Havalim #266: Happy Mother's Day! Please please please publicize HH on own blog and share the news about it! There actually wasn't a specifically Mother's Day theme going on with the posts this week, but I couldn't let it go by, right? So...give your mom a kiss, okay? The Rebbetzin's Husband writes The story of a tie. Frume Sarah was Sorely Disappointed and got An UNsatisfying Response. Jew in the City wants to know How Can You Be an Orthodox Jew Considering Its Position on Homosexuality? Mottel and the Big Easy - Part I was posted at Letters of Thought. Mordechai presents World Expo 2010 Jewish Visitors at Home With Chabad of Shanghai. Frum Satire wants to know Is communal pressure to marry too high? Seraphic Secret has Friday Fashion. Good News from Israel has Photos of the Lag Ba'Omer Parade and Celebration and Educational Resources about Jerusalem. Israeli Soldier's LIFE & THOUGHTS is Balancing the books this week. David Bedein has this post: Israel Behind the News: Israel Resource Review - Confirmed Israel Intelligence Study: Saudis Will Now Pose a Nuclear Threat - Yet It Goes Virtually Unreported in Israel. Tikkun Olam wants to remind us about Israel's cutting edge tech: Israel Technology Creates "X-Ray Vision"
Israelity has Beaten to the punch, Graffiti overcomes Kassams in Sderot and Nostalgia Sunday – Israeli dentistry gets a wisdom tooth.Joel Katz presents Religion and State in Israel - May 3, 2010 (Section 1) and Religion and State in Israel - May 3, 2010 (Section 2). Eretz Avot shares A Reminder in Time Square. Our Shiputzim: A Work In Progres tells us The Top 10 Ways You Know It’s Lag BaOmer. Ilana-Davita does her Weekly Interview: Treppenwitz. The Israel Situation considers Proportionate Response. Fear No Question muses on The power of being a parent. Achas L'Maala V'Sheva L'Matta reflects on What about the Holocaust, WHAT ABOUT THE HOLOCAUST? 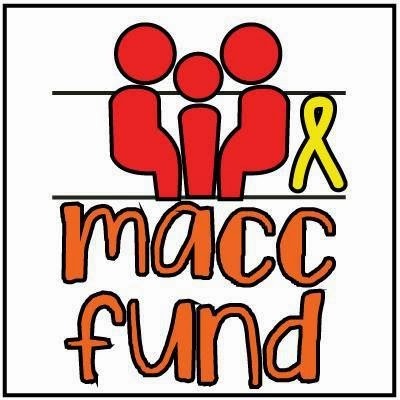 The Minnesota Mamaleh presents Random Acts of Kindness. Ki Yachol Nuchal! offers up Soldier Boy the Second and Hashem runs the world. Thank G-d for THAT. To Kiss A Mezuzah is Choosing Something Holy. Batya wrote A Milestone in Jewish Life, What Would Theodor Herzl Think? , אבן ... פינה Even ... Pina The Cornerstone and Get It Straight: The "PA" Promotes Arab Terrorism and The United States Isn't An Objective Mediator posted at Shiloh Musings. Hadassah Sabo Milner posted Loyalty and step-parents and Every Day is Mother’s Day – yeah, right!! Friar Yid offers No Bias Here. Geshmack Torah has Perseverance under duress. That's all for today. Please share with your readers and friends... 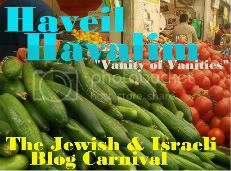 Submit your blog article to the next edition of haveil havalim using our carnival submission form. A great way to honor Shabbat - leave a bag of groceries on your front porch for your mail carrier to pick up on Saturday. Or, even better, can you deliver bags and flyers like the Homeshuler does? You can see the whole of the New Trier Township Food Pantry Wish List here. Here is the list from the Moraine Township Food Pantry. What a fabulous way to honor your mom or any other woman in your life. It's not too late to make a gift (although it's too late, I think, for delivery of a card) that will make your mom and so many others happy. So many ways to help others....our lives are so full and blessed.